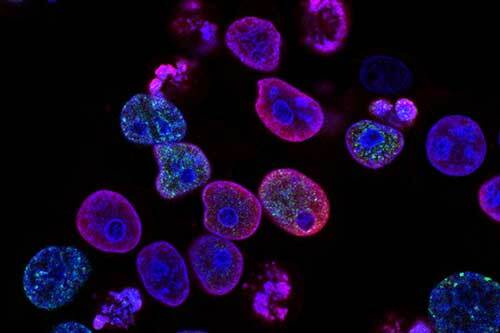 (Nanowerk News) Nanoparticles offer a promising way to deliver cancer drugs in a targeted fashion, helping to kill tumors while sparing healthy tissue. However, most nanoparticles that have been developed so far are limited to carrying only one or two drugs. In the same study, which appears in the Sept. 14 issue of the Journal of the American Chemical Society ("Using an RNAi Signature Assay To Guide the Design of Three-Drug-Conjugated Nanoparticles with Validated Mechanisms, In Vivo Efficacy, and Low Toxicity"), the researchers also showed that when drugs are delivered by nanoparticles, they don’t necessarily work by the same DNA-damaging mechanism as when delivered in their traditional form.